Joseph "Gray" Davis was overwhelmingly elected the 37th governor of California in 1998, winning 58 percent of the vote. As Governor, he made education a top priority, signing legislation to strengthen California's K-12 system, increasing accountability in schools, and expanding access to higher education with a record number of scholarships and college loans. These reforms improved student achievement scores for six consecutive years. Davis is of counsel in the Los Angeles office of Loeb & Loeb, where he provides strategic advice to clients on numerous matters. He is also a Senior Fellow at the UCLA School of Public Affairs and regularly speaks before various academic and civic groups. 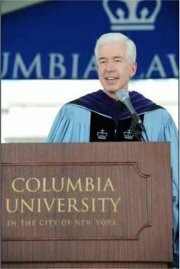 Davis was the Keynote speaker at the Columbia Law School Graduation Ceremony in May of 2009. As First Lady of California, Sharon Davis focused her attention on issues that affect children's health, safety and well being. She took an active role in establishing and promoting programs that have provided a lasting impact for children throughout the state. She served as the state's First Lady from January 1999 to October 2003. She created the Governor's Book Fund to provide monetary grants to California school libraries. In four years of operation, Mrs. Davis raised and distributed $750,000 in library grants and arranged for the donation of an additional 35,000 educational books to enhance school libraries. In addition, she is the published author of "The Adventures of Capitol Kitty," in which all proceeds to benefit the Governor's Book Fund. She is a passionate advocate for mentoring and served as the Honorary Chair of the Governor's Mentoring Partnership, a statewide effort to recruit mentors for children. Mrs. Davis presently serves as the Chief Executive Officer, a voluntary position, for Children Uniting Nations. Under her leadership, this unique program, which provides mentors for foster youth has grown from a small regional program to a national program in just five years. Mrs. Davis is working with U.S. Senators Mary Landrieu, Hilary Rodham Clinton and Edward Kennedy on national legislation to support and promote mentoring for foster youth. Mrs. Davis served as the official spokesperson for California's Healthy Families program, which provides comprehensive health coverage for uninsured children. During her tenure the number of children enrolled in the program has increased by more than 1,000 percent. This highly successful enrollment effort received recognition from the Federal Government. She brought together a diverse group of state leaders to convene the first California Child Nutrition Task Force to reduce childhood hunger and prevent obesity by increasing participation in federal child nutrition programs. The Task Force developed a public information campaign on the importance of breakfast for children and established a classroom breakfast program that is a national model. Her active participation ensured the successful launch of FLASH: a non-profit California Partnership for Safety and Preparedness dedicated to the education of students about emergency preparedness. Mrs. Davis hosted the annual Governor's Conference for Women. Participation in the Conference grew from 6,500 to 10,000, making it one of the most prestigious one-day non-profit women's conferences in the nation. As First Lady, Mrs. Davis visited over 170 California schools and was actively involved in issues including foster care, mental health and the Habitat for Humanity First Ladies national program. Mrs. Davis is a noted speaker and tireless advocate for volunteerism and community involvement. During her tenure as First Lady, she appeared a national conferences and conventions to speak on a wide range of topics. She appeared on numerous local and national news programs, including NBC Today Show, ABC Good Morning America, CBS, CNN, Fox News, MSNBC and CNBC. 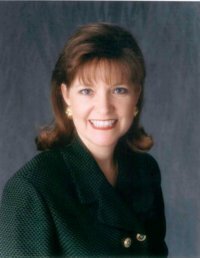 Sharon Davis currently serves on the Board of Directors of Golden State Foods, a privately held food processing and distribution company based in Irvine, California. The company has two processing plants and nine distribution centers in the U.S. with operations in Australia, Egypt and Malaysia. Mrs. Davis has an extensive business background in non-profit foundation management, public relations, sales and marketing. Mrs. Davis was hired to bring a new focus to The Ralphs/Food 4 Less Foundation after the corporate merger of Ralphs and Food 4 Less grocery companies. She restructured the Board of Directors, then substantially changed the Articles of Incorporation and Mission Statement to better reflect the Board's commitment to better serve the community. She also created a new employee participation program. She established new operating procedures and a much needed manual. Under her direction, the Foundation grew from $300,000 in annual giving to $1.5 million in three years. During this time, she was also actively involved in her husband's successful political campaign for Governor and left this position with the Foundation to serve full-time as First Lady. Mrs. Davis took three years off to assist her ailing parents. During this time, she did provided public relation services pro bono to PATH, People Assisting The Homeless and served on their Board of Directors. She was also actively involved in her husband's successful political campaign for Lt. Governor of the State of California. Mrs. Davis was the Founder and Managing Partner of the Davis/Miller Company, a comprehensive public relations firm, specializing in consumer products. In addition to managing the day-to-day operations of the firm, she managed several accounts, including press relations, trade conferences and product materials. Mrs. Davis was recruited by David Orgell, a retailer of fine crystal and silver to institute a corporate sales department. She established the operations and internal procedures for the department, then hired and managed a sales staff. She left this position to start her own public relations firm.